former President Barack Obama and former first lady Michelle Obama. 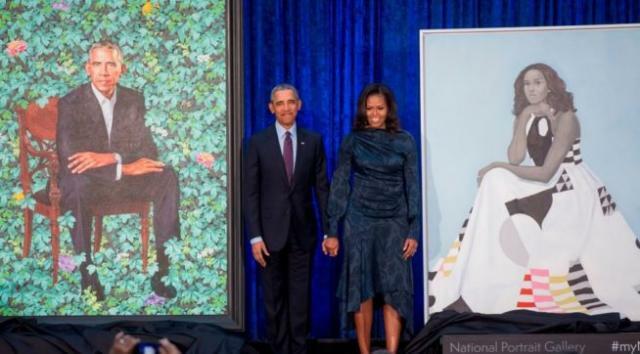 WASHINGTON (AP) — The National Portrait Gallery has unveiled portraits of former President Barack Obama and former first lady Michelle Obama, both painted by African-American artists who were personally chosen by the Obamas. The portraits were unveiled to the public Monday at the gallery, which is part of the Smithsonian group of museums. The gallery has a complete collection of presidential portraits. A second and different set of portraits of the former first couple will eventually hang in the White House. Barack Obama’s portrait was painted by Kehinde Wiley — an artist is best known for his vibrant, large-scale paintings of African-Americans. 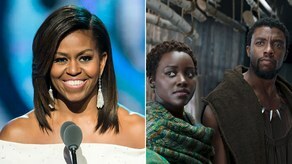 For Michelle Obama’s portrait, the gallery commissioned Baltimore-based artist Amy Sherald, first-prize winner of the Portrait Gallery’s 2016 Outwin Boochever Portrait Competition. The portraits will be officially installed and available for public viewing starting today Feb. 13. Labels: Entertainment News, Love, the Season of Love.